I'm currently out in Montreal (yes, get me) developing a project; but I wished that I was able to have attended the launch of Culture Shifts: Local, last night, a new exhibition of collaboratively produced photography from eight socially engaged projects across Liverpool which I'm involved with. The work demonstrates how photography, as an art practice, can be used to help communities define themselves, bridge cultural divides and communicate the vital issues of today. The projects are all part of the citywide, long-term Culture Shifts Project. 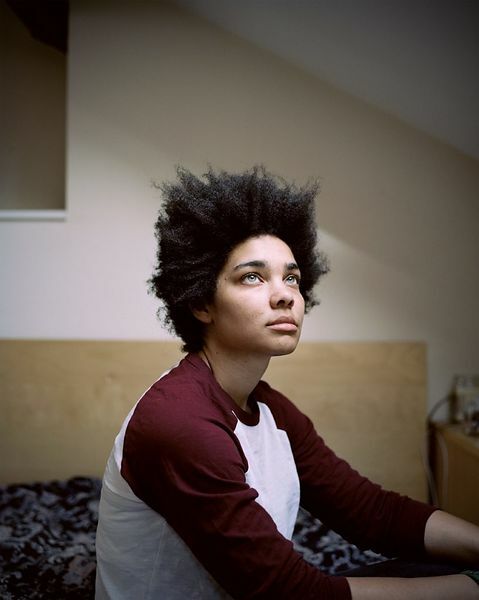 Each of the eight projects involves select photographers working alongside one or more groups, including a support and services network for women, residents of Granby Four Streets (site of the Turner prize-winning Assemble project), and youth groups dedicated to LGBTQ+ support and Youth Parliament. In addition to the group show, each project features in a solo offsite exhibition in a space in the neighbourhood of each community featured. Unlike documentary photography, the staging, selection and production of the images have been decided between the groups and the photographers they were working with. Because of this, the question of who took the image has little importance. This is part of Open Eye Gallery’s mission to champion socially engaged photography – photo-based projects that are participatory, in which the collaborative and conversational process of creating the photos is just as important as the final pieces. Stephen King with Communities from St. Helen’s steel, glass and canal industries. This programme has been funded by the Strategic Touring Fund, Arts Council England.